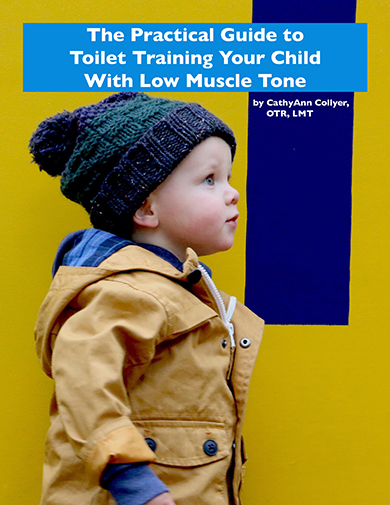 My most popular post, Why Low Muscle Tone Creates More Toilet Training Struggles for Toddlers (and Parents!) inspired me to write a manual to help parents with potty training. There was nothing in books or online that really helped them, just a few lines about being patient and not pushing children….no help at all! Clinical information is explained and written in layman’s terminology, so parents don’t have to Google “interoception” to understand the neurology that causes a child not to recognize that they have a full bladder.